Can You Turn an Elephant Around in a Phone Booth? Home/Blog/Can You Turn an Elephant Around in a Phone Booth? 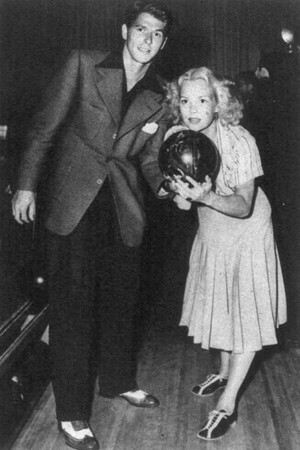 Ronald Reagan and Jane Wyman bowling. The thought of an elephant in a phone booth brings up an interesting visual. I know you’re thinking how did he get in there and what does it mean? What we’re actually talking about is the bowing industry. I recently spoke with a talented marketer, Fred Kaplowitz who spent much of his life gentleman who has spent much of his life moving the bowling industry forward. I ask Fred if he would give me the scoop on bowling and in the bowling industry. What makes this even more interesting is the challenged faced by this industry has been faced by other business; some that have not been so lucky. The earliest known forms of bowling date back to ancient Egypt. Remnants of balls used at the time were found among artifacts in ancient Egypt going back to the Egyptian period in 3200 BC. Balls were made using the husks of grains, covered in a material such as leather, and bound with string. Today, bowling is played by 100 million people in more than 90 countries including 68 million people in the United States. But bowling hasn’t always been this popular. So how did bowling remain popular, reinvigorate itself and become relevant to the millennials, to families and to seniors? Let’s start in the late 70’s when I joined an organization called the National Bowling Council, the promotional arm of the sport. I had been recruited from a major advertising agency and offered a relatively lucrative contract to become the first Marketing VP of this fledgling organization founded by the sanctioning bodies of bowling at the time (The American Bowling Congress (ABC) for men and the Women’s International Bowling Congress (WIBC) for women along with the major manufacturers, Brunswick and AMF, and the Bowling Proprietor Association of America (BPAA). While these 5 organizations funded the Council, they each had different agendas. The sanctioning bodies wanted more “league bowler membership”; the manufacturers wanted to sell more bowling equipment, and the proprietor association wanted more customers. It was quite a quandary in which I found myself. The future of bowling was discussed at Council meetings, committee meetings and almost everywhere I went, industry executives were asking what the future was. Everybody has an opinion, but there were few facts. So one of the very first big ventures I undertook was to uncover some facts, do some research of existing league bowlers, casual bowlers, non-bowlers and try to find out why they did or dint bowl, what they really thought about people who bowled or didn’t bowl and what would it take to get them to bowl more. At the same time, I conducted focus groups with major advertisers and package good companies as well as media people to find out what they too thought of bowling. After about six months of due diligence, I presented my findings and recommendations. When I was finished, the room remained quiet as 12 high powered executives sat in stunned silence. I was soon bombarded with questions about my research methodologies and if my sample size was correct and on and on. I had thought of all of these questions and was smart enough to have the research people at all of the 5 organizations involved in the research process; checking my work and recommendations every step along the way. I had defused what could have been a very difficult (and very political) internal issue. Non-bowlers and casual bowlers did not want to join a league because it meant a commitment of 36 weeks, cost too much money and they felt they weren’t good enough. Further, they felt that when they wanted to bowl, the bowling center near them never had available lanes because “Ralph and Archie” were always bowling there, swigging beer and smoking cigarettes; and the boomers were the first group to think about healthy options. Most people didn’t feel they could bowl well enough to have fun, so in their opinion, it was “why bother doing something if I’m not good enough at it.”Advertisers and media people felt that bowling was too downscale to associate their product and unless it was beer or cigarettes and maybe a cereal brand, batteries or pizza; they saw no relevance for their brand. We went to work. Over the next 25 years, I was a one-man band, picking up followers along the way, changing jobs to work for Brunswick as VP Marketing, then as Marketing VP for a major bowling center chain (Bowling Corporation of America) that owned 63 bowling centers across the USA and then as an independent marketing consultant, coach, speaker and educator to bowling industry executives and proprietors. Manufacturers had to provide exciting products that proprietors could buy at reasonable prices and get a satisfactory ROI that would excite the consumer to try bowling and then get him/her to come back. This led to the introduction of the automatic scorer, the laminated lane. Glow bowling lights and fog systems, and black lights that would illuminate the carpet, the lanes, and the sidewalls! More new products were to follow with softer couch style seating, private banquet, and party rooms, real cafes and restaurants, better and more exciting food offerings. Adult beverages that were more sophisticated than just “a shot and a beer.” Music, music and more music. Bands were introduced at bowling centers. Portable stages were built for the bands and comedians that would occasionally perform. Proprietors had to learn to market their bowling center. They had to learn about the media. Later they had to learn about websites, social media marketing and what the hell “a twitter”. They had to STOP doing only PRICE promotions and calling it marketing. My job was to educate them on what marketing was; to teach them how to plan and then how to implement and modify their plan, as needed, for the best possible results. At the same time, I had to train these folks on what customer service was, what good customer service was and that excellent customer service is an expected aspect of consumer expectations. I had to teach them about attracting families via birthday parties, how to use direct mail (back then) to reach households with children between the ages of 6 and 12 years of age who were having birthdays in the ensuing months and how to reach them, and further, to develop a mailing list, which eventually morphed into a database with email addresses and cell phone. I also built fundraising packages and corporate party programs that included more than just pizza, hot dogs and hamburgers and taught them how to promote the programs, measure results and make changes on the fly.. We demonstrated to them how to get corporations to book parties; get manufacturers to build automated reservation systems and trained employees on simple items such as phone answering etiquette. We also predicted that the traditional bowling center, if it was to survive long term, needed to evolve into a family entertainment center that included other venues like video game rooms, climbing walls, laser tag, bumper cars, and virtual reality booths. Manufacturers were constantly encouraged to research consumer needs and tastes for new attractions that can be added to the basic game of bowling such as “colored lanes, bumpers that pop up when younger children bowl to help them get a score as opposed to throwing the ball into the gutter, which in the past discouraged them from wanting to bowl. The membership or sanctioning bodies have taken years to consolidate and eliminate waste by forming one organization called USBC, the United States Bowling Congress. This organization concentrates more on educating and training younger people, offering scholarships and getting bowling into over 1,000 high schools and colleges today than ever before while still performing their duties as being the sanctioning arm and rules maker of the sport. While league membership in traditional 36 week leagues has fallen dramatically, the offerings of new products which we introduced in the early 80’s such as 8 week leagues, split season leagues, “bad bowler” leagues”, “have a ball leagues” and other premium leagues gave the non-bowler and the casual bowler a choice of buying different bowling “products”; thus more participation and more frequency by the existing bowler. Many of the changes that are happening today were predicted 40 years ago and all because someone was curious enough to get the facts, to go to the source – the customer – and ask a few questions. This process has been repeated many times over the years. Certainly, my team has done it as well as manufacturers, proprietors and membership organizations. They have all learned that it is better to ask than to guess. Better to have a marketing mindset, than flying blind. Today the industry is more marketing savvy than ever, healthier than ever and looking for new products and services to offer the consumer. I am very humbled and gratified to have been a major player in this industry’s transformation. Lisbeth Calandrino.com writes a weekly success blog for the Albany Times Union. She can be reached at Lcalandrino.com.